Whether or not you’ve been pushed to achieve greatness by a whistle-blowing coach, a personal trainer, or just a really encouraging friend, there’s something extraordinarily motivational about having a real-life cheerleader by your side. But, most of us have to be our own coaches at the gym (and at the grocery store, and in most other aspects of leading a healthy life). Luckily, a new app — released in the U.S. on Aug. 6 — offers one-on-one coaching without the need to join a sports team. 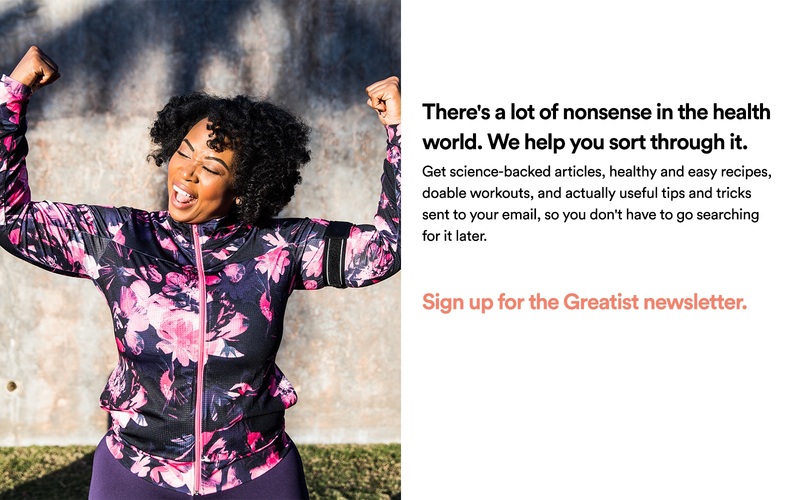 Sessions, a member of start-up accelerator Rock Health, is a platform focused on getting people fitter and healthier by interacting with actual humans (health and fitness coaches, to be specific), and not just a computer. For $79 a month, users enter a 16-week program aimed at improving specific nutrition or fitness habits (and making them stick). 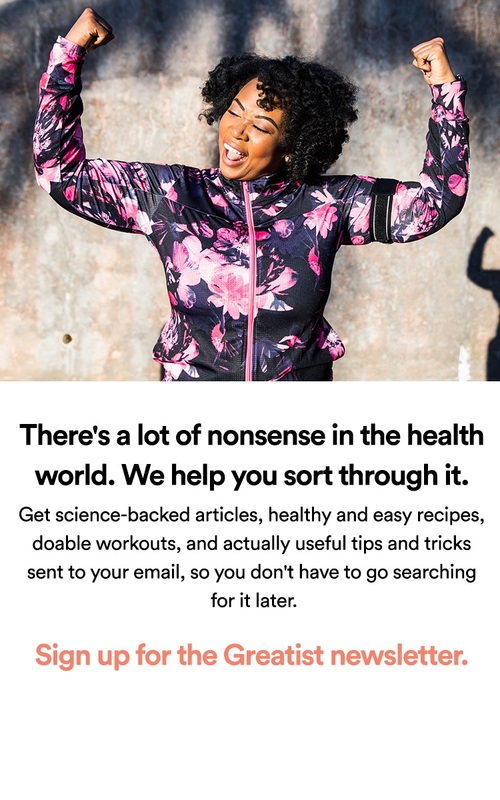 Throughout the program (which was first launched in Australia), users regularly connect with a real-life health coach via phone, Skype, email, and text messages for motivation and guidance. Work, family, and social commitments can roadblock a healthy lifestyle — that’s no secret. It's also why Nick Crocker and Ben Hartney designed Sessions, so that users can set attainable health goals and actually achieve them with the help of a personal coach all in an approachable, realistic way. The sort of funny thing about Sessions coaches is that you never meet them in real life. There’s no training together at the gym or sit-downs to go over meal plans — and there are certainly no weigh-ins. What makes this program different from other fitness and nutrition trackers is that while users do report their progress via a web-based dashboard (much like other tracking programs and apps) an actual human holds users accountable for their actions. Each week, the coaches ask what kept users from completing goals, the two work together to create viable solutions for a more successful week to come. The tech is there still — users can integrate data from health and fitness apps including RunKeeper, Fitbit, and Foursquare — but there’s a cheerleader, advice-giver, and goal-setter at the ready. Originally focused solely on fitness, Sessions just added a nutrition-based program to the roster. Currently, the two programs are separate entities with the philosophy that small change is more sustainable than trying to tackle two things at once. Sessions’ fitness program is for people who are inactive or lightly active. Whether it’s taking the stairs instead of the elevator, training for a user’s first 5K, or implementing a few short strength training workouts per week, the objective is to work toward sustainable change. It’s all about baby steps. When I first signed up with Sessions, I received an email from my coach, Glennis Coursey. After a brief introduction — Coursey is the director of Sessions’ coaching network — I completed a questionnaire to give her a basic idea of my health and fitness habits, what I’d like to work on, and a glimpse of my daily routine. The next step: a real live phone call. Coursey and I set up a time to chat, and then she explained how she’d coach me. In 45 minutes, Coursey knew about the important people in my life, what my workday looked like, and what goals we should set specifically for me. I already had a pretty regular gym routine plus a hearty walk to and from work, so we brainstormed ways to get me out of my desk chair during the workday. My goals (or what they call “sessions”) included my normal gym visits, runs, and walks with the dog, but we also added in two new sessions: mid-day walks, and standing while working. Though I’m active for portions of the day, I generally sit from the moment I get in the door until I head for the gym in the afternoon. We started out small, (30 minutes of propping my computer onto a stool — a makeshift standing work station — and one 15 minute walk four days per week, usually around lunch time). Each goal had a spot on my Sessions dashboard, which I could check off once completed for the day. Every Sunday was "anchor day": I’d plan the upcoming week by choosing days and times for each of my walking and standing sessions as well as my regular exercise sessions. Throughout the week, I had the option to manually add sessions or move them around to fit my changing schedule, or I could ask Coursey (via text or email) to make the changes for me. Another facet of anchor day was a weekly lesson. From “Creating the Mindset for Change” to “Obstacles” I’d click through a few slides of inspirational phrases, ending with a question and answer session — I’d have to input some information — for example obstacles that kept me from completing sessions — and offer possible solutions. At first the lessons felt sort of silly, but I liked that I was telling a real person what I learned or what I needed to work on. Sessions probably isn't an ideal goal-setting program for users that are already very active. Another major difference about my experience versus other users is that I used Sessions for a one-month trial period, not the prescribed four months. Had I continued on with the program, Coursey said we could switch things up and shoot for bigger goals, such as training for a 10K or even a half marathon. One component of Sessions that some users may see as a significant downside is the division of fitness and nutrition. I didn’t mind focusing solely on small activity-based habits, but I could see how other users who desire a full health makeover would prefer the whole kit and caboodle. Coursey didn’t rule out the two merging sometime in the future, but for now she encourages users to complete one right after the other, sticking with the Sessions philosophy of focusing on one change at a time. One minor detail I wasn’t thrilled about was Sunday anchor days. I’m a big fan of unplugging on weekends, and sometimes I’d feel sort of guilty for not following the rules. But once I told Coursey that I’d rather check in and schedule my week on Mondays, she was totally onboard. On occasion I’d get caught up in work and forget what time I set a session for, but I learned later that I could have synced my Sessions dashboard with Google Calendar so I could receive reminders. In the end, I’m still not entirely sure how I feel about the coaching aspect of Sessions. Don’t get me wrong, Coursey is lovely and she did a really great job, but for the activities I was engaging in, it was hard for her to play cheerleader (standing isn’t the most exciting physical activity in the world). Coursey says the level of motivation needed varies from client to client: “Some people want to interact with their coach every day and some want just a few days a week. The ultimate goal is to keep people engaged.” If I tried Sessions again, I would just stick to email interaction, though other users may really thrive off having more frequent contact through multiple mediums. I couldn’t help but think it was kind of funny to text someone I’d never met my plans for the day. (In fact, Coursey said in the beginning of the month that it would feel funny texting, but that she’s used to it and that’s her job). The goal with Sessions is to create a habit (or habits) that can be maintained long term. And after completing my one-month trial, I genuinely try and stand up throughout the day for at least an hour, and it doesn’t feel like a chore. In fact, I feel weirder not doing it. The combo of a human coach plus a digital dashboard was a cool way to track my activity instead of joining an in-person program such as Weight Watchers. What’s on the horizon for Sessions? Coursey says Sessions is working to design new programs, hire many more coaches, and learn how to tackle bigger goals (such as a half marathon) but in the same step-by-step, day-by-day fashion. Of those who’ve tested Sessions, 90 percent completed the entire program, and on average, people send at least one message to their coach daily. We’re curious to see what comes of the U.S. launch, and which Sessions program — fitness or nutrition — prevails as the most popular. Would you try a program like Sessions, or would you rather go it alone? Let us know in the comment section below or tweet the author @nicmcdermott.